In the theme table there is a type field with 3 possible values: physical, virtual and staging. When to use physical virtual and staging theme? When I extended luma theme my new theme appear in theme table as virtual type. 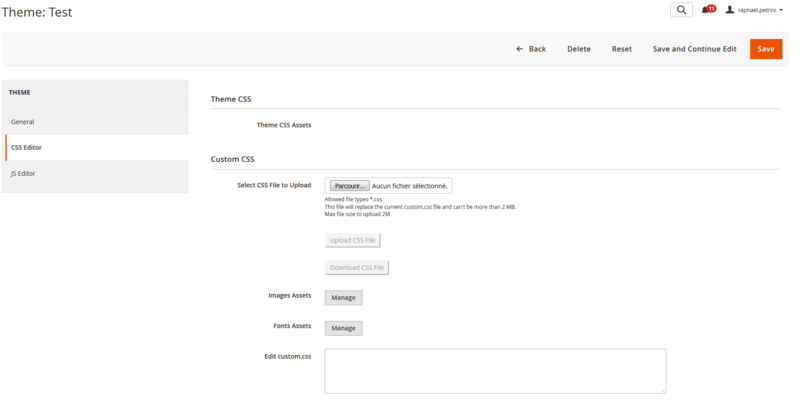 But looks like this type doesn't allow overriding some files, and only changing theme type from virtual to physical let me extend for example Magento_Theme package. This is yet unclear but I think virtual themes refer to themes you can create in the backend which extends existing physical themes but it seems like it's not fully implemented yet. You can see that there's two tabs available in the edit section only for virtual themes which let you provides custom CSS and JS for a virtual theme. I reckon a virtual theme would be something you setup temporarily (like Christmas theme) for a short period of theme and which requires only few design changes compared to the physical theme it extends. I assume you can have a staging theme when using a campaign but I'm not 100% sure. Not the answer you're looking for? Browse other questions tagged magento2 theme or ask your own question.